Welcome to Cowell's Garden Centre vacancy page where you can find details of current job opportunities. We are a family owned award-winning Garden Centre and are always on the lookout for talented, enthusiastic individuals to join our team. Personality and a willingness to learn are key as we can offer in-house comprehensive training on job-related products and services. 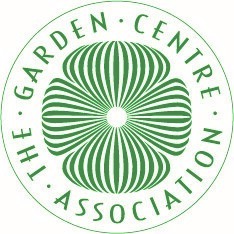 We provide a friendly working environment, generous staff discount and we have been recognised for the work we do, nationally, regionally and within the garden centre industry. Please upload your CV and complete a short covering letter detailing why you feel you're appropriate for the role, outlining any relevant experience. We will respond to successful applications within 1 week of the closing deadline. Due to the high volume of applications, we apologise but it is not possible for us to respond to applicants who are not successful. Recent previous applicants need not apply. We are always interested in hearing from candidates with proven horticultural or retailing experience. Even if a relevant vacancy is not listed please email your CV to [email protected] if you think you have experience we would be interested in. If you are interested in working at Cowell’s please keep an eye out for new vacancies on this page, on Facebook or sign up to our newsletter.